B"H there will be a barbecue at the Holy Tomb of Biniyahu Ben Yehuyuda (entrance to Tsfas). 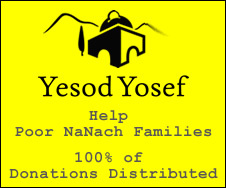 Many Nanach will be visiting the Holy Tomb of Saba Yisroel, and I hope to make it myself. Saba received the Petek by the Holy Tomb of Rabbi Meir Baal Hanais, and there are those that visit this holy site on Chag HaPetek.